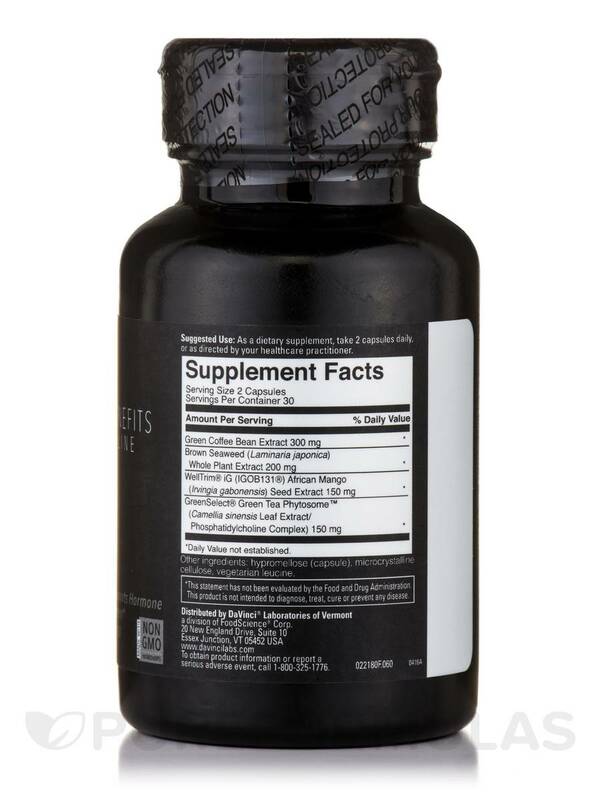 A Dietary Supplement that Supports Hormone Balance and Weight Management! 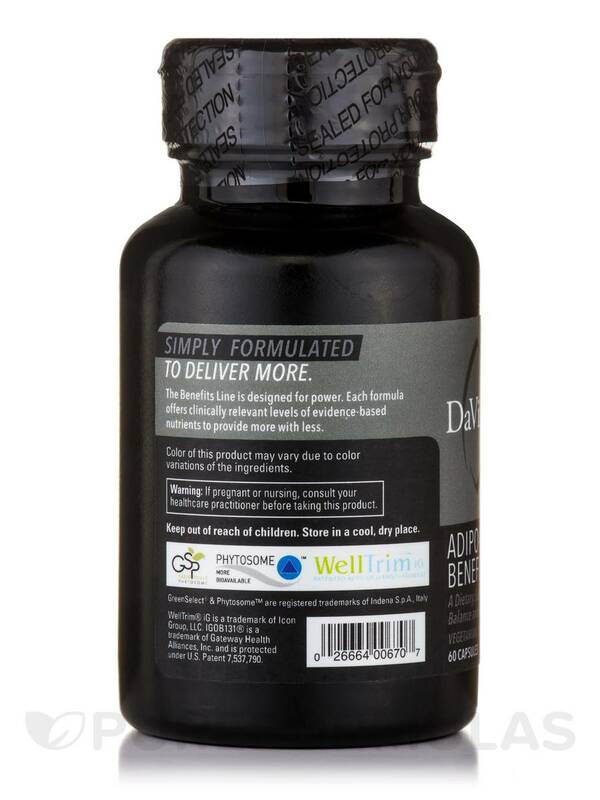 To provide the most comprehensive support for weight management‚ you need more than the standard metabolic health support. Special attention should be paid to the endocrine aspects of metabolism and appetite - in addition to normal fat absorption‚ use and storage. Supporting a healthy balance of leptin and ghrelin is essential to providing a long term weight management strategy for you. 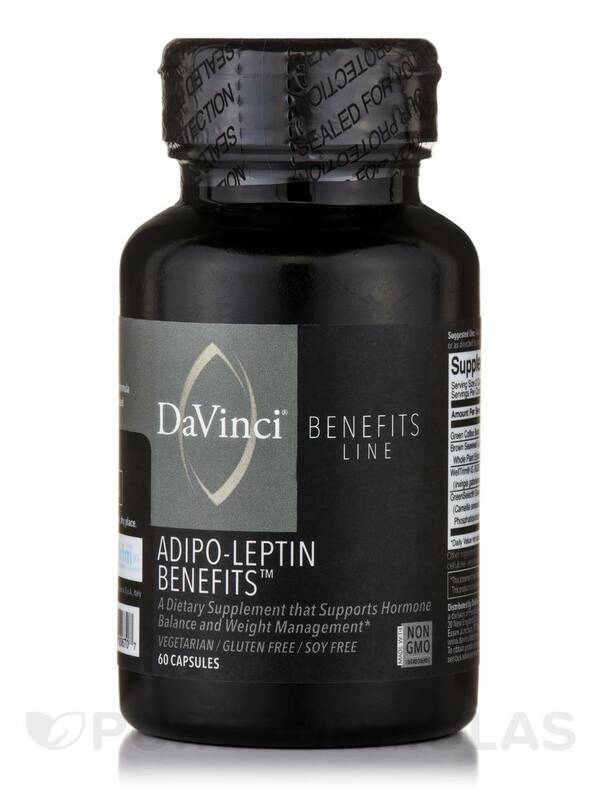 Adipo-Leptin Benefits™ offers the right evidence-based ingredients to make that strategy work. 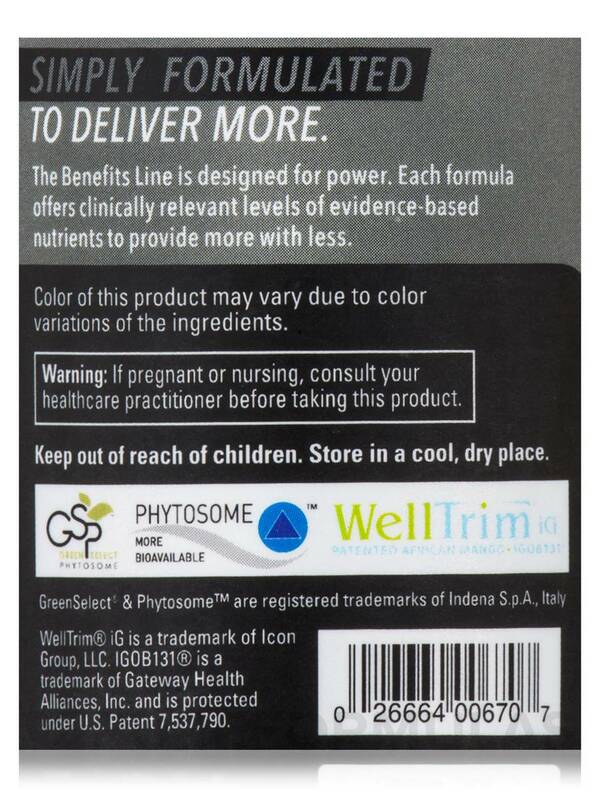 With green coffee bean extract‚ brown seaweed‚ WellTrim® iF (IGOB131®) African Mango seed extract and GreenSelect® Phytosome™‚ Adipo-Leptin Benefits™ has everything you need to break through weight loss barriers. Non-GMO / Vegetarian / Gluten-Free / Soy-Free. 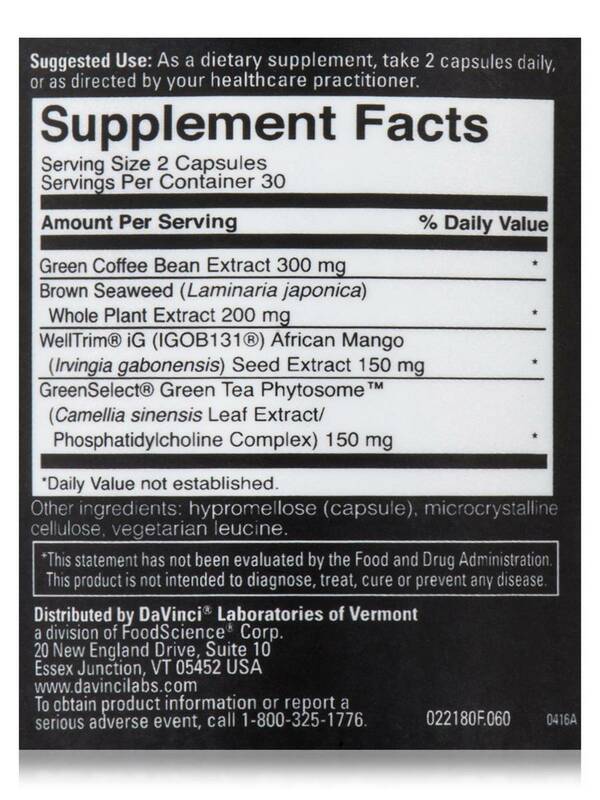 As a dietary supplement‚ take 2 capsules daily‚ or as directed by your healthcare practitioner.